EARLIER EUROSTAR DEPARTURE. Inbound Train ES 9054 will leave from London St Pancras International at 19:25 arriving at Paris Gare du Nord at 22:49. Later Eurostar Departure. Inbound Train 9054 will leave from St Pancras International at 19:25 arriving in Paris Gare du Nord at 22:49. Outbound Train 9007 will leave from Paris Gare du Nord at 07:13 arriving in St Pancras International at 08:32. LATER EUROSTAR DEPARTURE. Outbound Train 9011 will leave from Paris Gare du Nord at 08:04 arriving in St Pancras International at 09:30. Inbound Train 9054 will leave from St Pancras International at 20:01 arriving in Paris Gare du Nord at 23:17. LATER EUROSTAR DEPARTURE. Outbound Train ES 9011 will leave from Paris Gare Du Nord at 08:04 arriving at London St Pancras International at 09:30. LATER EUROSTAR DEPARTURE. Outbound Train ES 9009 will leave from Paris Gare Du Nord at 07:34 arriving at London St Pancras International at 09:00. LATER EUROSTAR DEPARTURE. 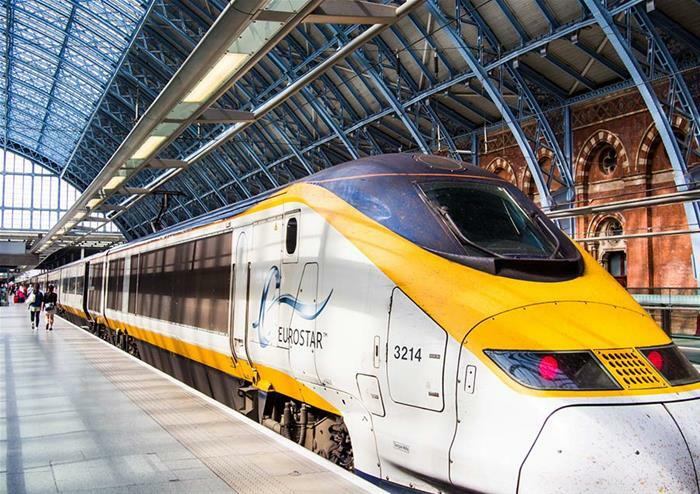 Outbound Train 9011 will leave from Paris Gare du Nord at 08:13 arriving in St Pancras International at 09:30. Inbound Train 9054 will leave from St Pancras International at 20:01 arriving in Paris Gare du Nord at 23:17. Make your way to Gare du Nord station to start your British adventure. Collect your tickets and welcome map from our Golden Tours representative who will be waiting for you at the station on the 1st floor next to the Eurostar ticket office. Please allow yourself plenty of time with check-in at 6.15am and departure time to London at 7.13am. Once you arrive in England’s bustling capital at St Pancras International Station, you will be met by a Golden Tours representative in the concourse when exiting the Eurostar Terminal. Your London exploration will begin as you’re taken to your open top bus tour through the heart of the city. Hop-on and soak in panoramic sights of London’s most iconic landmarks and locations with onboard audio commentary offering you rich insight into the city’s history. As you venture through Piccadilly Circus, Trafalgar Square, Parliament Square and many more of London’s most famous areas, you can hop-on and off as you please. 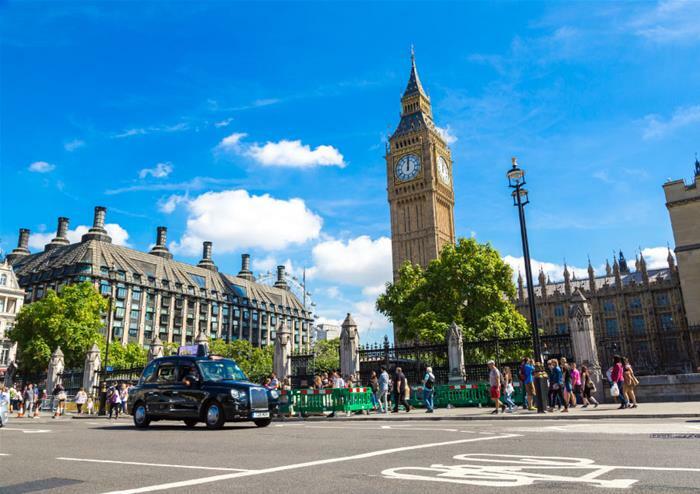 With over 60 stops to choose from, you’ll get to explore Buckingham Palace, Westminster Abbey, St Paul’s Cathedral, the Shard, the London Eye and a whole host of other historical landmarks. With your hop-on hop-off bus ticket, you’ll get to enjoy a free sightseeing cruise on the River Thames. 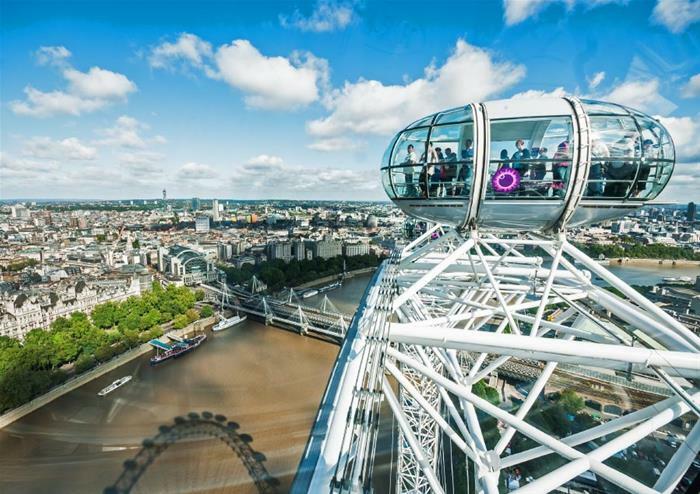 As you take to the waters, you’ll take in sensational views of London including the London Eye and Big Ben up close. You can hop-on and off at any of the 5 piers between Westminster and St Katharine’s Pier so you can explore all of your favourite areas at your own leisure. Once you’ve enjoyed an open top bus tour and sightseeing cruise on the Thames, you’ll get to discover London by foot with a free fascinating walking tour. With a choice between the Royal London Walking Tour and the Beatles Walking Tour, you’ll get to wander the most famous haunts of the famous four or the British monarchy! After you’ve left your stamp on London, head to St Pancras International Station for check-in at least 45 minutes before you 8.01pm departure time. You’ll arrive back at Gare du Nord station, Paris, at 11.17pm. Butterflies, reptiles, monkeys and more!